Even those who shop on the high street often still prefer to check out the internet first. So, whatever the nature of a modern business, it pays to avoid being drowned out by competitors on the world’s principle search engine. 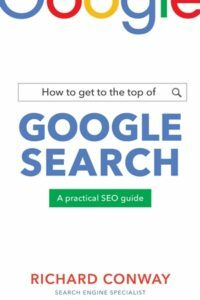 This book outlines such facets as keywords, content, structure, mobile search and optimisation, tracking tools and more, to reveal… How to Get to the Top of Google Search. Business to Business has a copy of this book to give away. One entry per person/email address; entries close May 20, 2019.